Design Friday. 65 Vintage Firecracker Labels. Here it is, that time of the year when we American’s celebrate our independence by blowing up things in our yards. It is a life long ritual that is instilled upon us at an early age with our first trip to the fireworks stand. Usually by the time we reach mature adult hood, we have graduated to watching the masterful professional fireworks displays with a certain level of awe and amazement. The professional displays bring up memories of youth and the thrill of setting off firecrackers, fountains, roman candles, helicopters, and so much more. For me this holiday has become five days of how do I keep my dogs from going nuts from the ever-present sound of firecrackers exploding in the distance. Even as I write this my dog Cosmo is howling at the front door, thanks to the distant concussion of some kids M-80 exploding. So how does all of this relate to Design Friday? 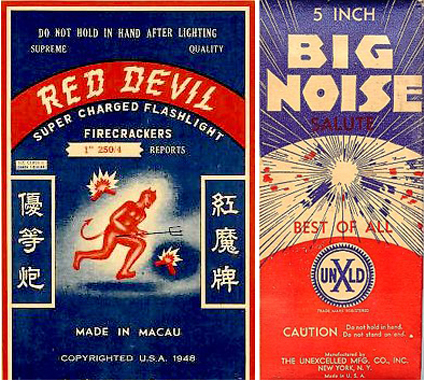 Well today’s post is all about firecracker packaging. 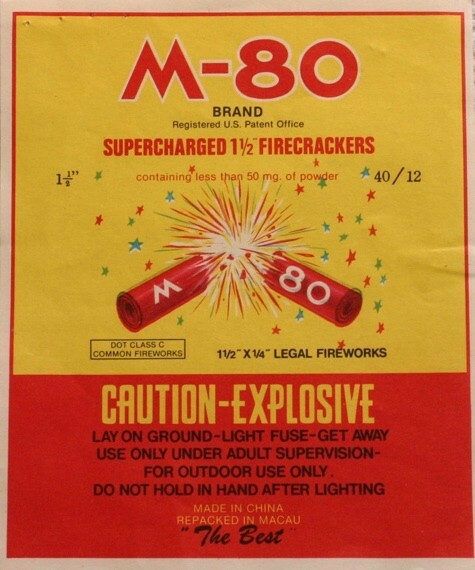 When you were a kid, (and for some of you even today as an adult) you chose a certain brand of firecracker based on the label. The graphics and the name drew you in, and if the brand had less duds than another you had purchased you proclaimed things like “Super Atomic Fun Bomb, is the best firecracker you can get. They are louder and more powerful than any other”, even though you had no real proof of this. The point is even though the names are at times ridiculous, and the quality of printing, the design style, illustration, and color are usually pretty bad they worked. These labels grabbed you and hooked you. They got you to buy, and frankly I love them. There is a certain almost surreal quality to the labels that is captivating. It’s that lost in translation of Western pop culture seen through distant Chinese eyes. I mean how else did someone come up with “Y2K” firecrackers? There are themes that are always present. 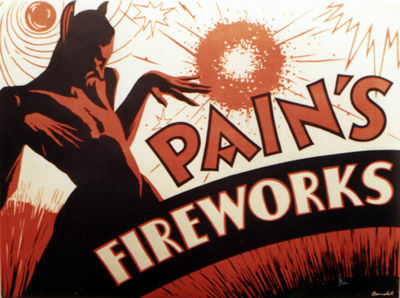 Animals, Outer Space, Cowboys, Guns, and the consistant symbol of the firecracker exploding. 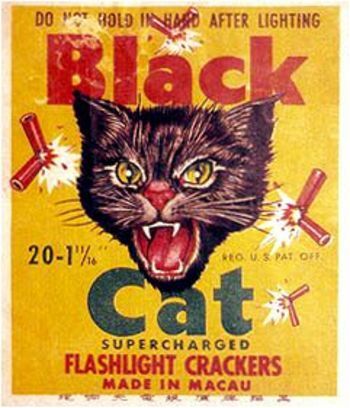 So below is a gallery of vintage firecracker labels for you. I hope you like them. Now go blow something up, just do it in a place where my dogs can’t hear it. Posted in Design and Art and tagged Blowing Stuff Up, Design, Explosive Design, Explosives, Firecrackers, Fireworks, Fourth of July, Graphic Design, Independence Day on July 2, 2010 by Author. ← 2010 FIFA World Cup Beer Posters.